Karl-Friedrich is invited to address the American Chemical Society in 1929 on his discovery of ortho- and para-hydrogen. He travels with his friend and colleague, Michael Polanyi, who is to give a series of lectures on physical chemistry and kinetics at the University of Minnesota. 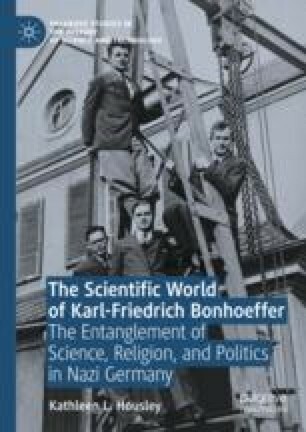 A polymath, Polanyi broadens Karl-Friedrich’s perspective by keeping notes on how science is practiced, economic conditions, and politics in the USA. Just after they return to Germany, the New York Stock Exchange crashes and the Great Depression begins. The era of pure science ends.